I used a stock photo and brushes for the BG . It's an attractive wall... It's a pleasure to see it! Very cute! The rain looks so realistic OoO. I love everything in this Wallie, thanks alot ! beautiful wallie! 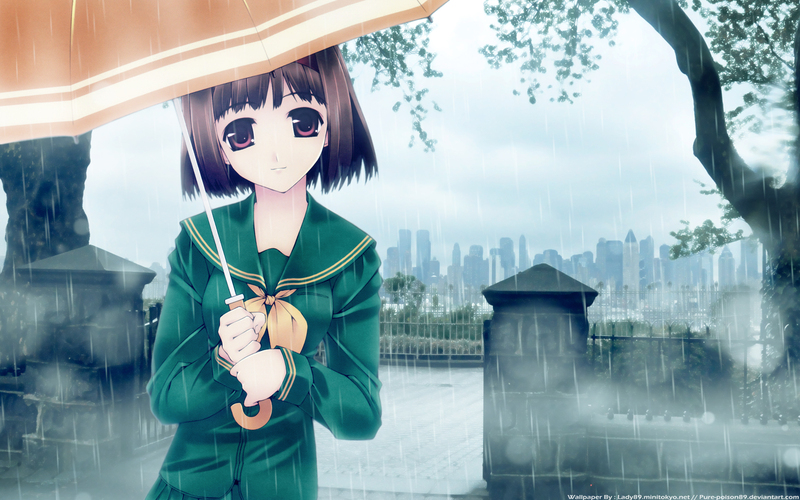 I love the background and the girl who looks so angelic in the rain! Wall with rain are beautiful. Quote by Angelik0Very pretty wallpaper !